Whether you’ve moved a hundred times or this is your first, there is always a certain level of stress that cannot be avoided when changing addresses. And an international move is all the more difficult, especially for the uninitiated. Sure, you could have beginner’s luck and happen upon a reliable moving company on your first try, but you could also end up in a situation that you wouldn’t wish on your worst enemy – horror stories range from lost belongings to costly damages to outright fraud. Of course, no one wants to have to worry about those things when you are in the midst of a huge upheaval like moving from London to Alicante, so we can take the worries out of the process for you. When you call the moving professionals at Moving Service you’ll be given a free quote that we stand by, no matter how big or small your move. Whether hiring a man and van Alicante or going in for a full removal package, from assessment to delivery and cleanup, we’re the company for you. Call us on 020 8746 4402 to find out about our great Alicante removal services today and you’ll feel your stress level go down from the minute we answer the phone. 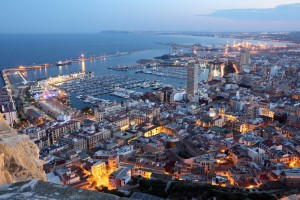 Alicante is a city in the southern part of the community of Valencia in Spain, located on the beautiful Mediterranean Sea. It is a scenic port city steeped in history covering more than 7000 years. It is not only rich in archaeological sites but in sunshine and other tourist attractions. Whether planning your retirement or looking to expand your business opportunities – or just moving to Alicante for the good life – you won’t be disappointed. There are stunning public squares at every turn and even a castle – the Castle of Santa Barbara – keeping its protective watch over the city from high above on Mount Benacantil. One of the most remarkable features of Alicante is the Explanada de Espana, a marbled promenade lined with palm trees upon which you can take an evening stroll by the sea. Other historic sites include the St. Nicholas of Bari Cathedral, the Basilica of Santa Maria, numerous towers and 18th century Baroque-style buildings and two excellent museums, the Gravina Museum of Fine Arts and the Museum of Contemporary Art of Alicante. Take the kids to El Palmeral Park for walks, picnics, concerts and playgrounds. 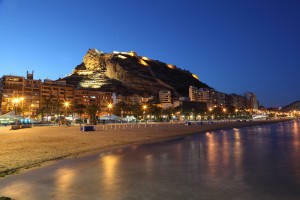 If you move to Alicante, you’ll surely be looking forward to the summer solstice festival called the Bonfires of St. John and the fireworks on the Playa del Postiguet beach that follow the festival. Nightlife is what you would expect of a town filled with students in a warm climate, as this town is home to the University of Alicante, as well as numerous summer concerts and theatre offerings. Choose Our Moving Experts for Your Big Day! There’s enough going on when you are undertaking an international removal, relocating from London to Alicante, that you shouldn’t have to expend all your energy worrying about whether the movers are doing things right. You want all of your belongings to arrive safely, quickly and affordably. And that’s just what we do at Moving Service. But we go beyond the mere moving and add all the extras like packing services Alicante, packing materials, assessment and anything else you may need for a smooth transition when you move. Dial 020 8746 4402 today to receive a free quote that you can compare to other Alicante removals companies – we’re sure you’ll be convinced that we’re the way to go.